Q. How do I find out if there is more than one copy available? 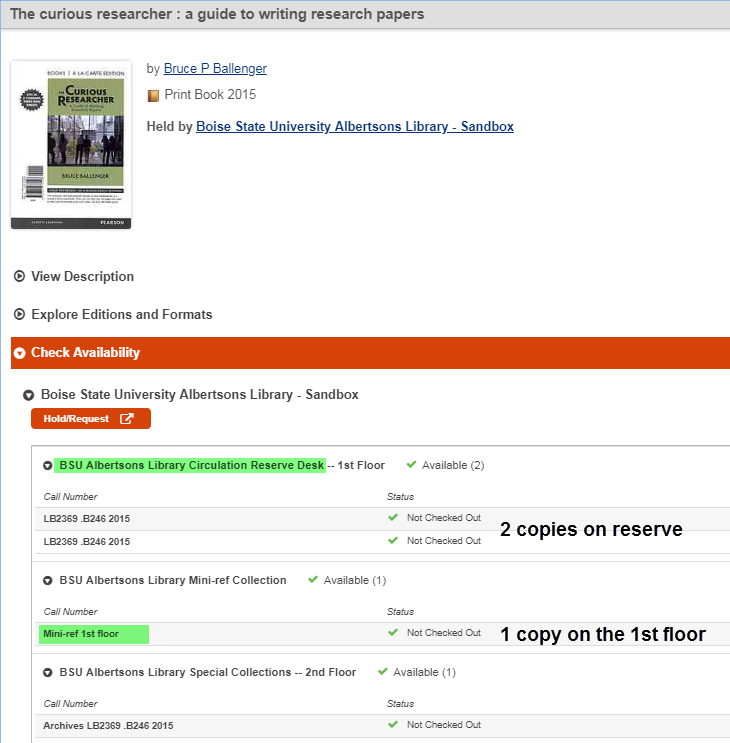 The search results show only a copy on reserve or in Special Collections. The search results screen displays only one copy. Click on the title to see the detailed record which will show all the copies the library has.